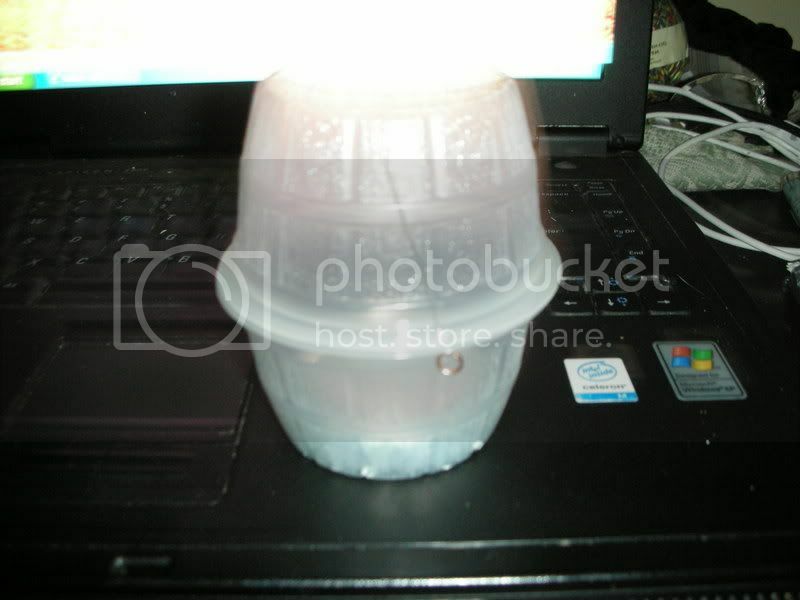 So this is "THE PURE MOTTS' LANTERN" invented and designed by Pure Mahem accept not immitations it's simply the best! I started by cutting the bottom out of one of the apple sauce cups. 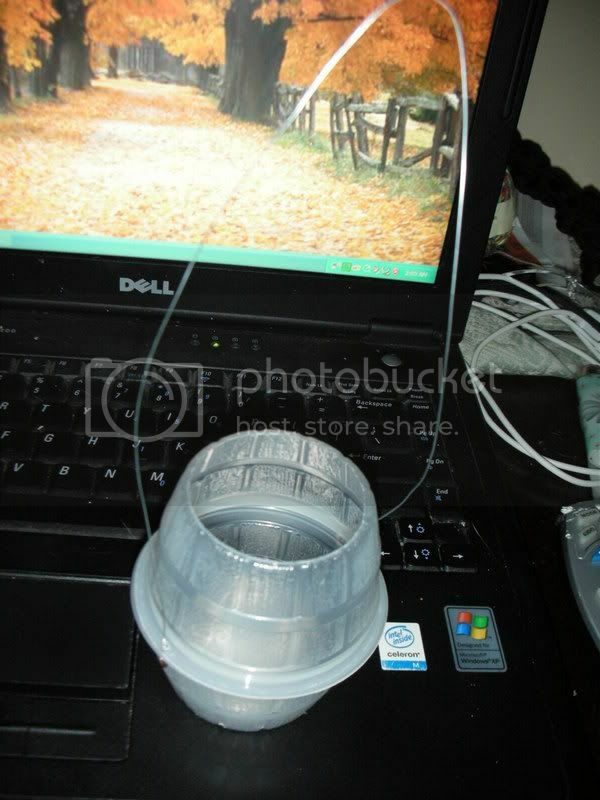 Then I drilled six holes around the outside bottom of the other cup. Next I drilled two holes, one on each side of the top lip on both of the cups, so the holes line up when you stack the cup with the bottom cut out upside down on the cup with the holes drilled around the bottom. I then attached a split ring to one end of the floral wire by twisting it on like a bread tie using my needle nose pliers to hold the ends of the wire. I threaded the wire up from the bottom side of the cup with the holes drilled in the bottom through the lined up holes in both cups and over the top of the entire assembly and down through the holes on the other side and attached another split ring on the that side creating a hanging/carrying handle for the light. Next I made a bowl for the tealight to sit in as to difuse the heat away from the bottom of the apple sauce cup, so as not to melt the bottom. In order to do this I took a pepsi can and trimmed around the bottom with my scissors, I used the paint line on the can as a guide to cut a perfect circle. 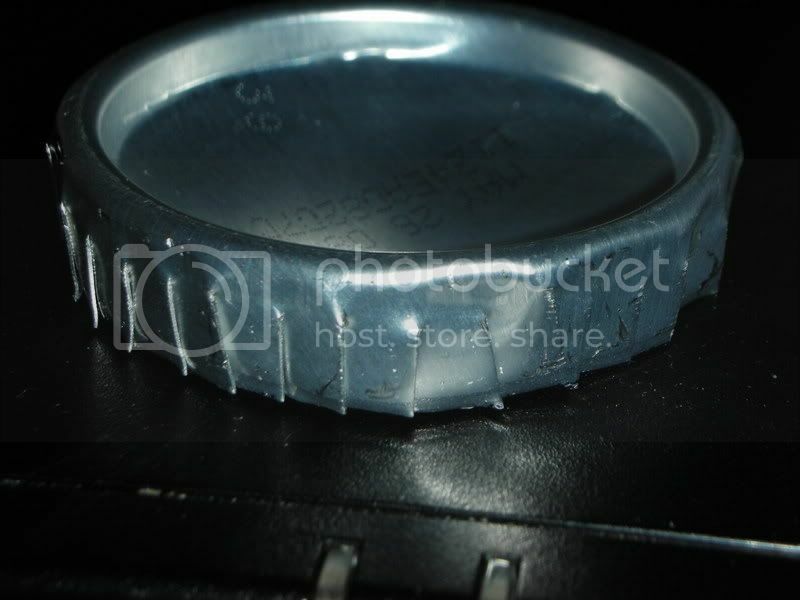 Next I cut a series of cuts around the bottom of the can approximately 1/8 of an inch apart. I faced the cuts toward the center of the can and ended the cuts right where the can starts to bend up to the rim of the concave bowl. 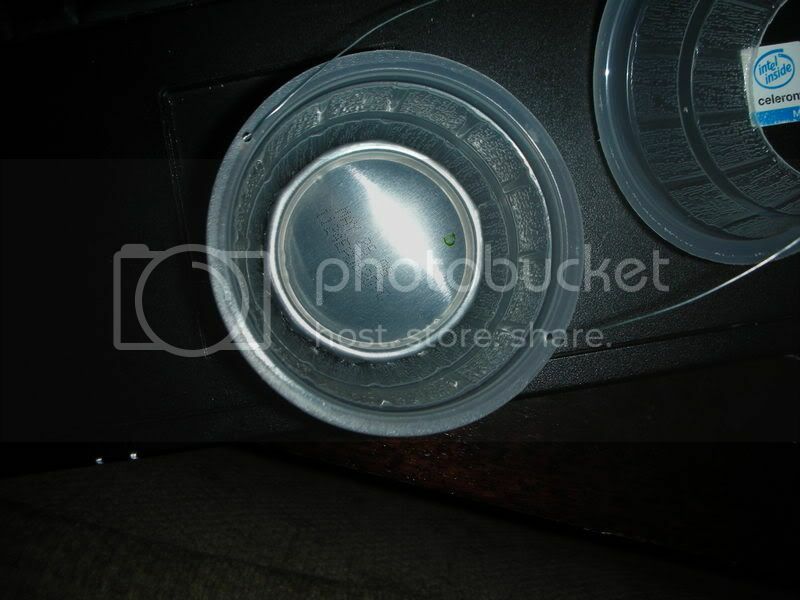 I then used the needle nose pliers to bend the tabs straight down all the way around the can so that the can bottom would rest in the bottom of the apple sauce cup and lay there flat with out popping up at an angle. This step takes a little bit of finessing to get it right. I also think you may be able to use the botom 1/4 inch of a red bull can for this with out doing all the bending like I did on the pepsi can. However, I used the materials I had at hand. 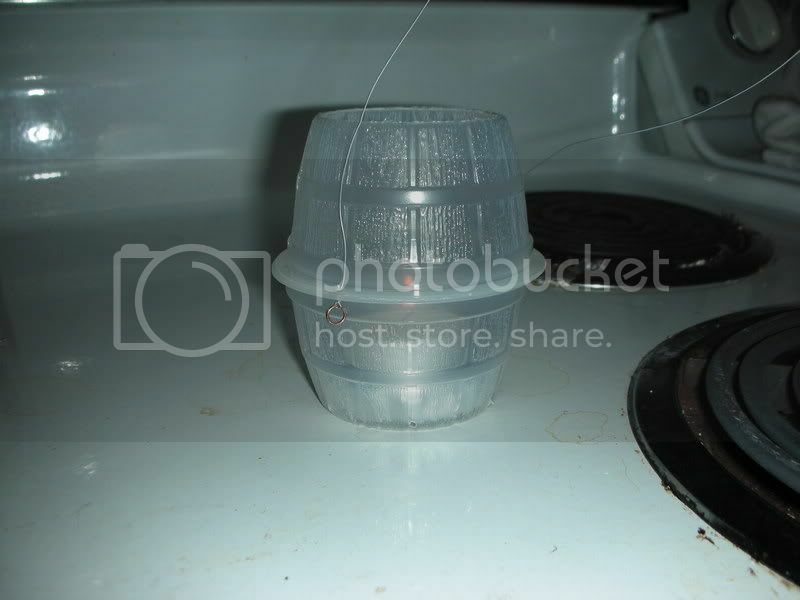 Now place the Tea light on top of the soda can bottom and pick up the center of the floral wire and tah dah now you have "THE PURE MOTTS' LANTERN". Enjoy. I don't have a scale but this thing is really light. The top shade moves up to open for easy placement and replacement of the tealight. 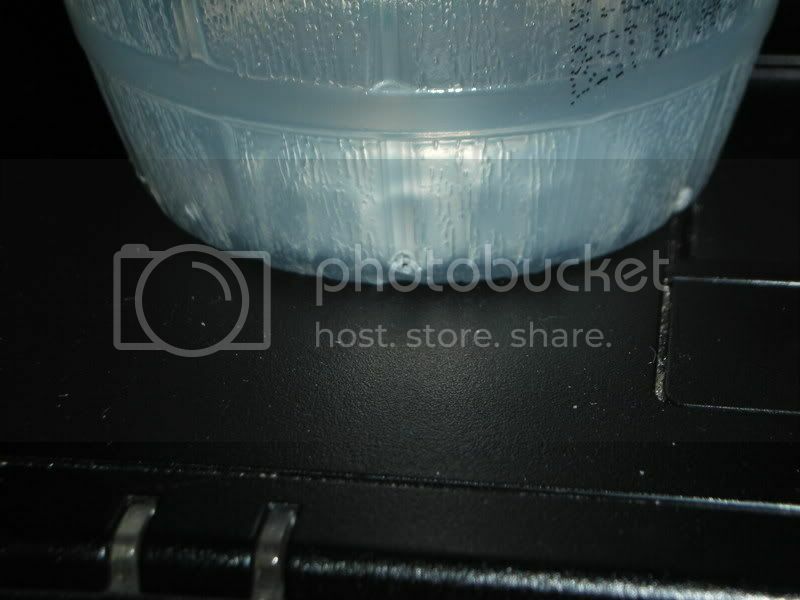 The whole light can be carried any where it is not hot either by the wire handle or the base. The light can be hung by the handle or set on a table it is really stable. 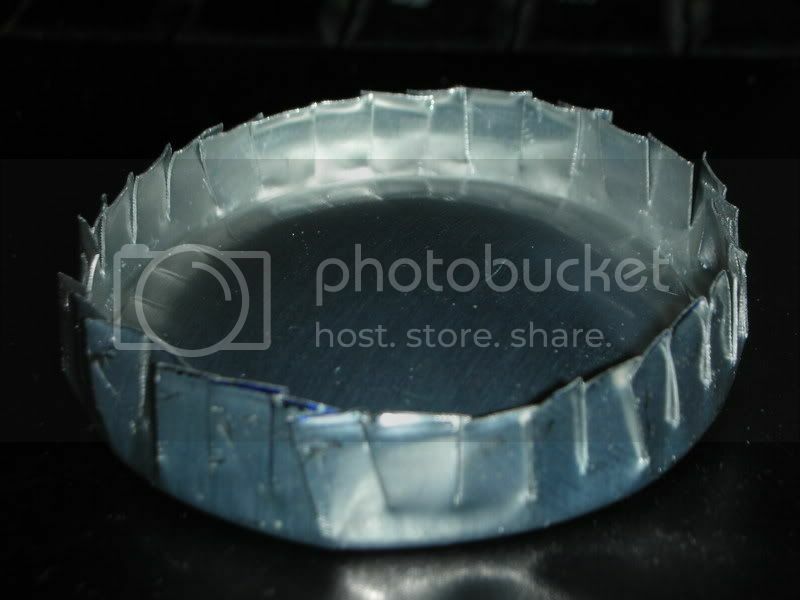 The light remains slightly warm and does not melt or distort any of the plastic at all. 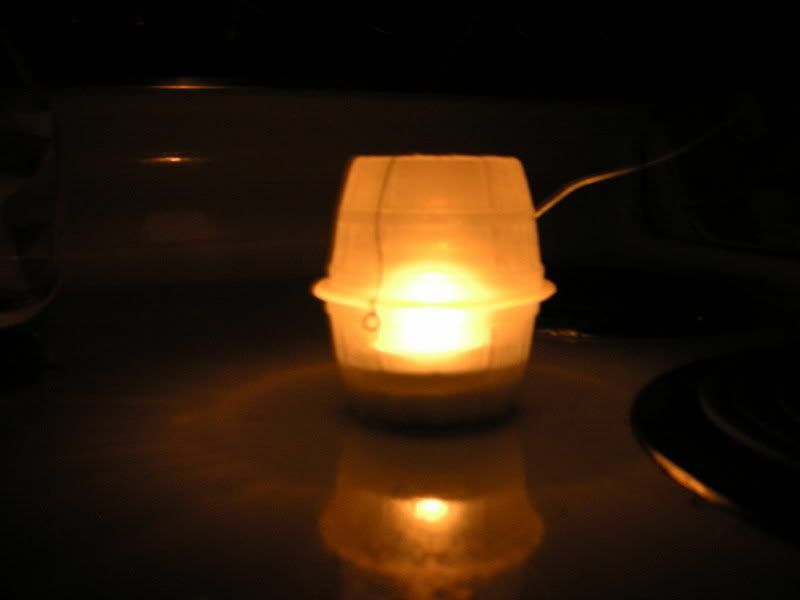 I have burned a 4 hour tealight in it completely through and it remained the same the whole way through, usure of results with a 2 hour tealight but I have yet to see one of these. This thing is awesome and easy to make! Nice and easy design Mahem. Is it critical to get the hanging holes exactly half way around the rim so it won't be tippy? I'm going to use your idea for an upcoming Halloween family campout. Your nigh time photo looks kinda pumkiny. I think the kids would enjoy making a PureMahem Lantern and painting faces on them. No I don't think Its necessary to be exact but if you get the ones with the barrel design on them it makes it pretty easy because there is exactly twelve square wood patterns around the top with smooth line to mark about where the holes should be. also after examing the split rings shouldn't be nessacarry because you could simply make a loop twist with the needle nose pliers in the floral wire so that it won't pull through. Good thing about floral wire it's cheap strong and you get a lot on the little role for a buck from walmart. Pure Mahem wrote: No I don't think Its necessary to be exact but if you get the ones with the barrel design on them it makes it pretty easy because there is exactly twelve square wood patterns around the top with smooth line to mark about where the holes should be. also after examing the split rings shouldn't be nessacarry because you could simply make a loop twist with the needle nose pliers in the floral wire so that it won't pull through. Good thing about floral wire it's cheap strong and you get a lot on the little role for a buck from walmart.